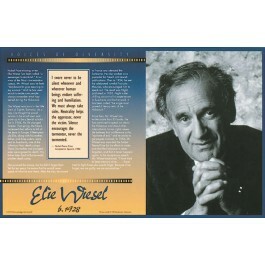 This educational poster of writer Elie Weisel features a striking photo of the author, along with biographical text of his life and work, and an excerpt from his Nobel Peace Prize acceptance speech. 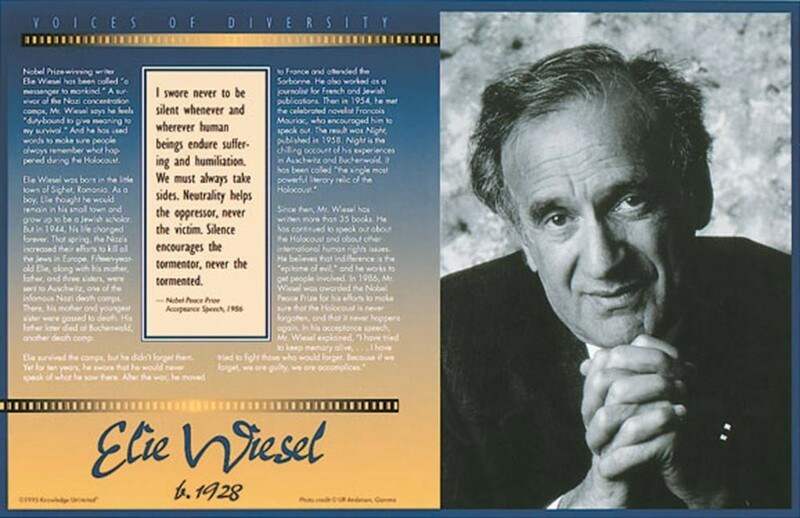 Mr. Weisel, a survivor of the Nazi concentration camps, has used his writing to make sure people never forget the Holocaust. His most famous work is "Night," a chlling account of his experiences in Auschwitz and Buchenwald.